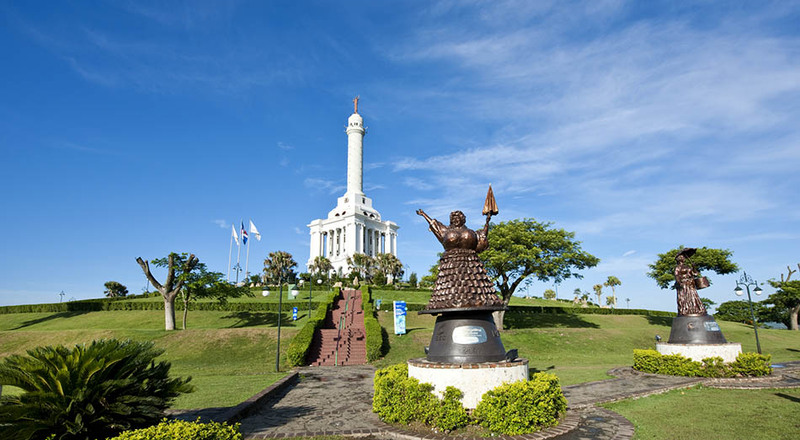 The Monumento a los héroes de la Restauración (Monument to the Heroes of the Restoration of the Republic) is located on a hill on the eastern side of the centre of Santiago de los Caballeros, at the most colorful and emblematic place of the city and one of the most visited ones in the Dominican Republic. It was originally built under the dictatorship of Rafael Trujillo with the name of "Monument to the Peace of Trujillo" (“Monumento a la Paz de Trujillo”), and inaugurated on September 30, 1953. After the fall of the dictator, it was given its current name. The building is formed by a 70-metres high tower partially covered by marble, and it is accessible from a staircase of 365 steps; this number meant that the dictator took care of its citizens through each day of the year. At the top of the stairs it is easy to imagine what it means to be a Dominican, because here it is commemorated the struggle of the Dominican people against the Spanish empire to regain its sovereignty. 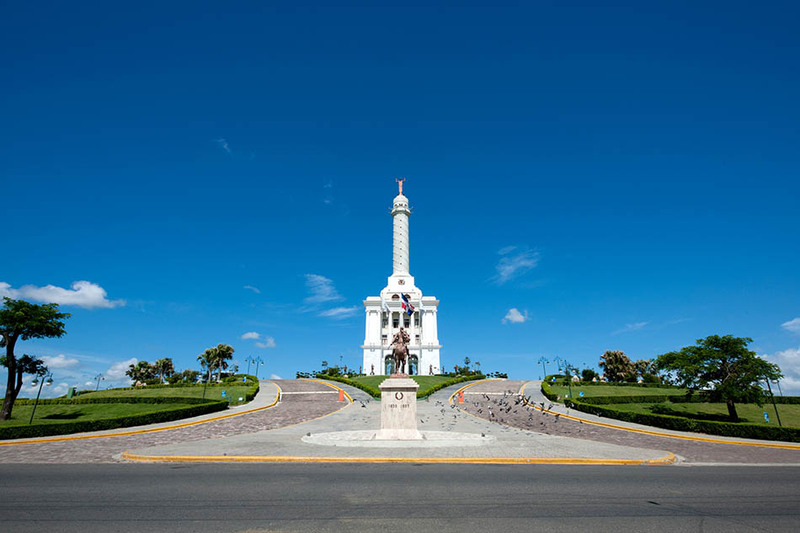 The monument was completely renovated and it reopened in 2007 to house lifesize exhibitions of the Dominican history, as well as bronze statues of famous local generals and former players of the baseball team of the city, Las Águilas Cibaeñas. On the upper floors there is a patriotic library and a terrace that offers panoramic views of the city, but the tower has been permanently closed for security reasons. Almost every Tuesday various school groups attend their exhibitions and enjoy a tour through the past of their country. Av. 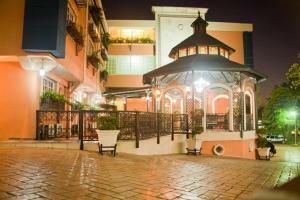 Monumental, Santiago de los Caballeros, República Dominicana. 1 US $ Dominican visitors. 2 US $ foreign visitors. Tuesday through Sunday, from 9:00 to 18:00.